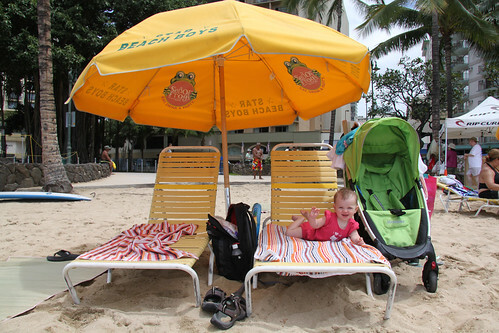 After a good review the other day, we headed back down to Kuhio Beach Park for more sun and surf. 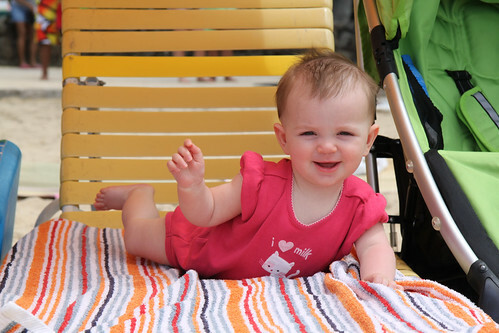 We rented a set of chair and an umbrella again to setup a fort for baby. You gotta watch her every second now. She is on her back. Then on her belly. Then rolling towards the edge of whatever she is on. But she always looks cute doing it. 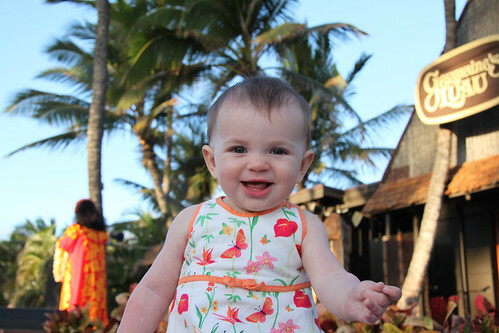 That evening we had a big outing — a luau! Kayla got a front row seat for all the action. She enjoyed the show, especially the fire!